2018- the year of the butterfly|Are you ready to spread your wings? I always feel like a newlywed around this time of year. It’s my personal anniversary of when I decided to start living my life differently. I won’t go into details because I’ve shared about that before, read about it here and here. Today I wanted to share about the things I’m looking forward to in 2018. Each year, I step further out of my comfort zone and chase dreams that have grown bigger than the year before. I recently saw an image similar to this on social media that resonated with my soul! It’s definitely symbolic of where I’m at in my life. In 2016 I was yearning for knowledge, growth, and pursuing my purpose in life. Like a hungry caterpillar, I devoured every book, podcast, and talk I could get my hands on. As I digested the information, I put it into practice in my own life. In 2017, I started doing a lot of groundwork and really digging deeper into my personal journey of growth as well as continuing my training as a life coach. 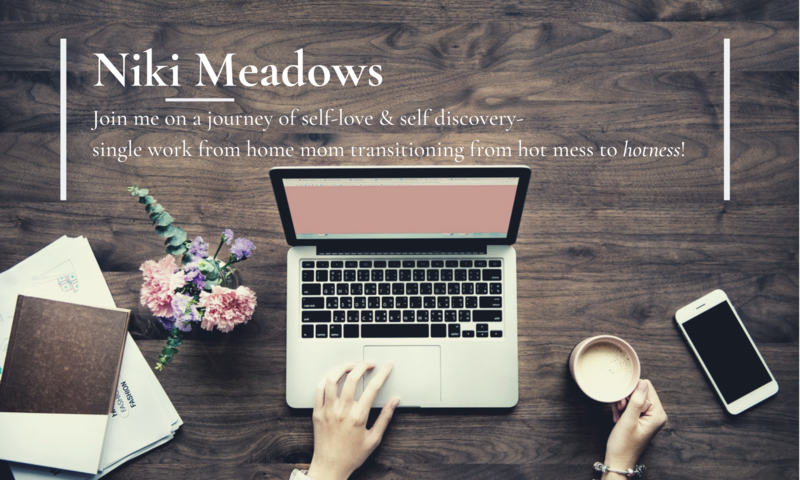 It was a year of building my business, establishing meaningful connections, and continuing my dedication to self-love and self-acceptance. 2018 is going to be a big year for me, I feel it in my bones! I’ve been sowing seeds for two years, consistently doing the work, and dedicated to the process. From the outside in, it probably didn’t seem like I had much of anything to show for the work I’d been putting in. Yet I persevered because I’m in this for the long-haul. Not all results are instant and I knew that the seeds I was sowing were meant to be cultivated over time. It’s very exciting because if things unfold the way I intend them to, I’ll be harvesting the fruits of my labor in an amazing way. Yet it’s also scary because it’s uncertain. I have no idea of the return I’ll get for the fruit I’m harvesting. I’m putting myself out there like never before and taking my business and life to levels I’ve never been. There are no guarantees. While I’m pursuing some incredible opportunities I have no idea how they’ll unfold. Of course, there’s a degree of fear that things won’t turn out. There’s also a lot of pressure because my family is making some big sacrifices to support me. I don’t want to let them down. I don’t want our collective sacrifice to be in vain. But at the end of the day, I’ll never know unless I try. I’ve come too far and put too much into what I’m doing to let my crop go to waste due to fear. I’m not just doing things haphazardly with my eyes closed and fingers crossed waiting to see what sticks. I’ve got a plan and I’m taking steps forward and doing everything I feel I’m led to on a daily basis. When all is said and done, I’m doing all that I can to ensure I continue to sow seeds that will sprout in seasons to come and cultivate the fruit that will be ready to harvest in 2018. So as scary as the uncertainty can be, as vulnerable as I feel putting myself out there in the ways I am, and as overwhelming as the process can be sometimes, it’s the only path towards progress. If I don’t try, I fail by default. If I try and things don’t work out the way I anticipate, I’ll do what I always do; reevaluate and make the best of where I’m at and what I have. Health: My physical health is going to be one of my biggest priorities. For the past several years I’ve been at my heaviest weight. I’ve come up with a plan to become more active, eat healthier, and focus on being healthy that results in losing weight. Fun: I spend a lot of time working and homeschooling. I want to make fun a bigger priority in my life. Aside from the alone time I already dedicate to meditate and do yoga, I’m making time to do things I enjoy from crafting to laser tag and game night. Schedule: We’ve gone through a weird period lately where our schedules have been all out of whack. From the kids going to bed too late to me getting up way too early. I’ve come up with a plan that I think will work for all of us including our homeschool schedule, bedtime, and everything in between! Gratitude: One way our hectic schedule impacted us was with the attitudes and energy in the house. I find my personal gratitude practice really helps me so we’re going to make it a bigger part of our family focus. Sharing our high and our low will be something we do each day as well as celebrating what each of us is grateful for. Giving back: Volunteering and giving back to the community was a big part of my life growing up. Now that my daughter is of an age that she can volunteer, it’s important for me to teach her to give back by example. We’ll be donating from our time, service, and finances through my business. Collaboration: Working with other female entrepreneurs to help them grow their business and get more exposure is something I’m dedicated to this year. I started exploring collaborations in 2017 and the few I’ve done have been amazing! There’s something so special about supporting other women in business. Service: I’m expanding the ways I serve in 2018. This includes group coaching and a women’s retreat. The coaching program will be offered later this year. The retreat has been planned and the venue is booked, and enrollment is now open. I have a beautiful document dedicated specifically to my 2018 intentions including a plan detailing to take steps in alignment with each of them. Some are short and straight-forward like the family gratitude plan and others are longer projects that are more detailed like the collaboration plan. Some depend solely on me and others on a team or with my family. Some are simple in theory but challenge me to put into practice. Either way, I know that when I have a plan in place, it gives me a sense of direction and helps me take action. If I feel like I have too many things to tackle, I get overwhelmed and my action results in no action being taken. So if you’re like me, and you don’t want your intentions to fizzle like ambitious daydreams, come up with a plan to help you take action! I’ve created a guide to help you get started. It’s actually the process I use to get started and build my plan as I go about chasing my dreams and building my life. It even takes your past obstacles and challenges into consideration to help you use what you’ve learned to your advantage. Several women have used it and shared the ways they’re planning on moving through 2018 with intention. I’ve shared a handful of my 2018 intentions with you, I’d love to hear yours! Feel free to share your intentions in the comments. What phase are you currently in, the caterpillar, cocoon, or butterfly? Let me know in the comments. Sending you lots of love and wishing you all that you need to support you in living 2018 with intention! If you’d like to explore a collaboration opportunity, send me an email. I’d love to support you to extend your reach and grow your business. Omg love this so much! This year is going to be amazing for you, and I hope you meet all of your intentions. Love this! Can’t wait to get home later and explore both your links. I have a good feeling about the coming year for you. Sending you extra good vibes, you are doing important work! Wow, you have so many fabulous, enriching plans for 2018. Enjoy! What an exciting plan Niki – wishing you a most wondrous 2018! Love this post…and love butterflies too. I wish you a happy new year Niki, and hope you spread your wings wide and reach the stars! Next PostNext Embark on the journey & let it unfold!